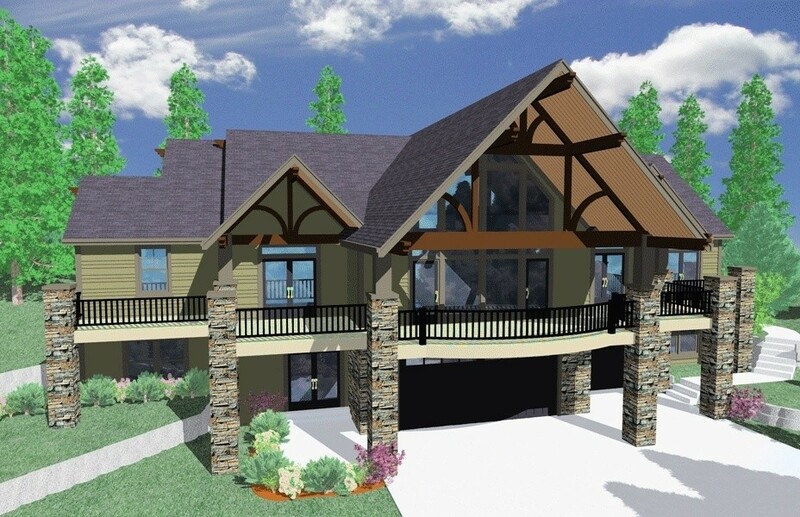 This aspen style lodge home is perfect for an uphill site with a view to the front. Look at the expansive front deck off the vaulted and beamed great room. Every major room in the house looks out on to the front view with access to the deck. 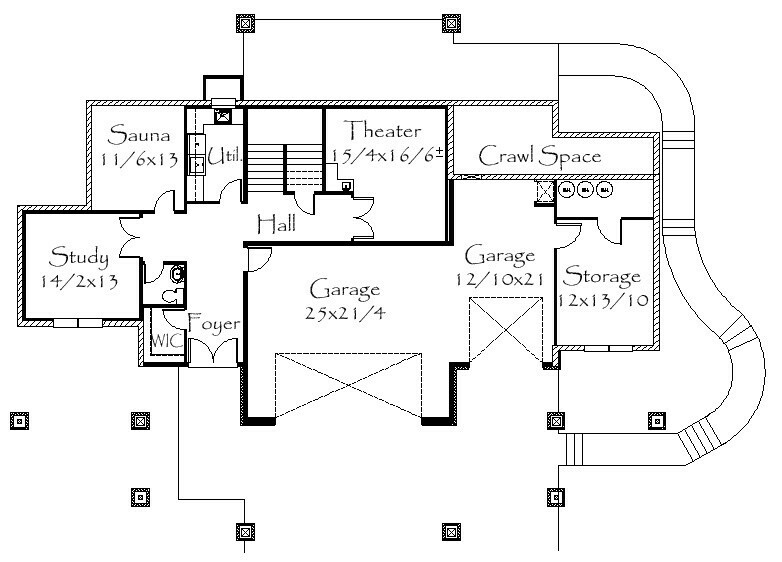 The lower floor features a large Sauna, Study and home theater. There is ample storage throughout. This is the perfect vacation home or mountain residence. 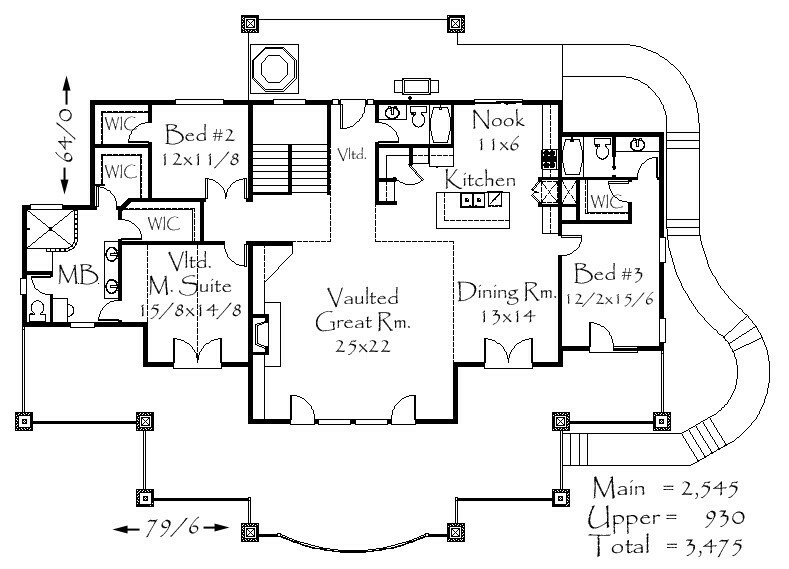 Strength and character abound in this timeless lodge style design.